Based in the Netherlands Brink & Campman has built a world renown name for high quality market leading rugs. Each rug in there range is made with nature and the environment in mind, Brink and Campman limit the use of extra backing materials and chemicals to the minimum, most of there ranges are made from organic materials such as wool. Their new 2019 collection features designs inspired by modern furnishings and the latest trends and interior fashions, each rug is made to the highest standard and should give many years of use. 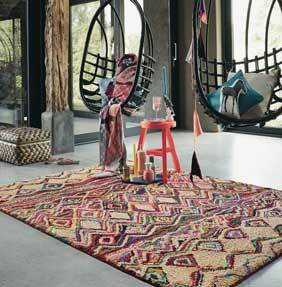 Brink and Campman rugs can be custom made to your required size, please contact us for details.